Home » Hairstyles » Best of Fall Hair: Must-haves for Beautiful Autumn Hair! The days are getting shorter, the sun is shining less, and winter is just around the corner. What hair care products and treatments should you be using this fall? We’ve got the must-have list of all our hair care favorites to keep your hair looking it's best all season long! It's important to give your hair type what it needs the most to have healthy, manageable hair. If you're unsure about your hair type, ask your Hair Cuttery stylist! Fine Hair - Redken Body Full infuses hair with high-impact body and fullness with lasting volume, touchable fullness and weightless shine. 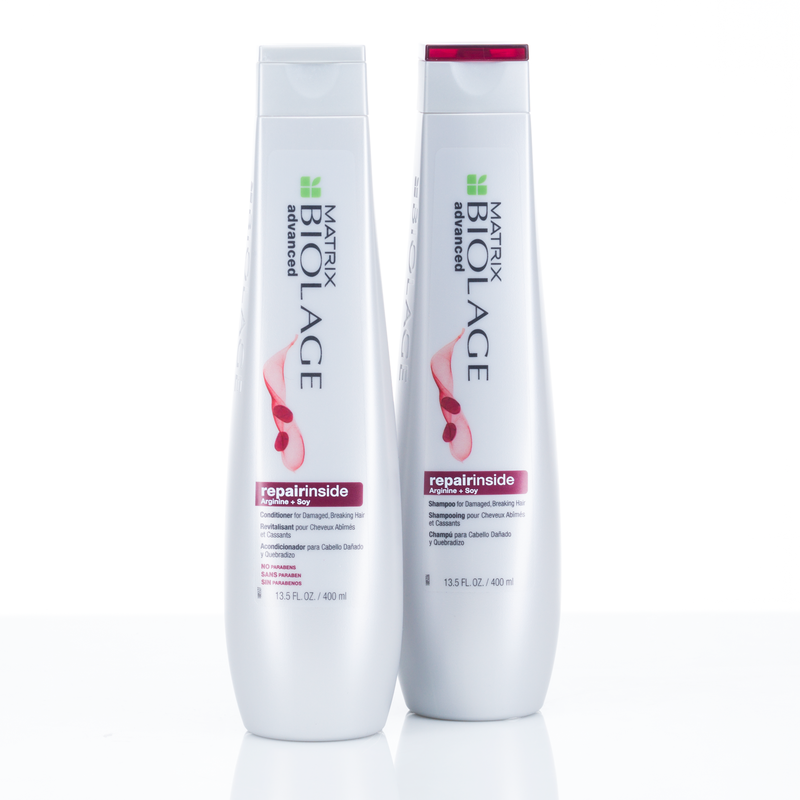 Dry/Damaged Hair- Biolage Repair Inside cleanses and deeply conditions severely damaged hair. This duo restores softness, shine and natural movement. Color-Treated Hair- Redken Color Extend Magnetics is a sulfate-free duo that strengthens, conditions and helps increase color vibrancy. Curly Hair- Redken Curvaceous is a sulfate-free duo that cleanses and provides intense moisture for stressed out curls and waves. Just as your body benefits from a session of yoga or a massage, your hair also needs some special treatment to protect it from the outside elements and styling we put our locks through. It’s a 10 Miracle Hair Mask used at least once a week provides 10 benefits your hair needs: de-tangles, nourishes, de-frizzes, softens, smooths, restores moisture balance, restores elasticity, improves color vibrancy, imparts luminous shine and enhances natural body. Cibu Ancient Serum is an argan oil treatment to use on wet or dry hair and can even be used on nails and skin! This amazing oil nourishes and improves health of hair, adds shine and moisturizes dehydrated hair. Cibu Ancient Serum + Keratin is an argan oil treatment that repairs, strengthens, nourishes and smooths medium to coarse hair types. Do you ever wonder how to get those wonderful Pinterest styles to work? The secret is styling products and we've put together this must-haves list to cover any styling need! Volumizer- Cibu Shang High Volumizing Mousse creates body and fullness for fine/limp hair. Dry Shampoo- Tigi Oh Bee Hive absorbs excess oil and gives lift and volume to hair. De-frizzer for Fine Hair- Cibu Ancient Veil is a lightweight natural argan oil spray. This ultra fine spray is alcohol fee and thermal protectant. Curl Definer for Coarse/Thick Hair- Redken Curvaceous Full Swirl is a combination of a cream and serum that controls frizz and locks in moisture for high shine curls. Curl Definer for Fine Hair- Redken Wave Ahead is a lightweight, airy foam that adds structure to waves and controls frizz. Wave Enhancer- Redken Fashion Waves is a texturizing sea spray that gives hair a fresh from the beach style. Hair Spray- Redken Control Addict 28 is a firm hold spray that provides 24 hour humidity resistant coverage. Fast drying and no flaking! Heat Protectant- Redken Satinwear helps reduce friction and breakage for a faster, easier, stress-free heat styling. Plus it contains UV filters and antioxidants to help protect haircolor! Pomade- Cibu Sticky Rice texturizes, defines and pieces out with a matte finish. All of the products recommended in this blog post are available at your local Hair Cuttery. You can also purchase any Cibu products online. And remember, our stylists are here to help you with all your hair needs, so feel free to ask your stylist what works best for you. Have a great autumn season everyone!